The ATF 130G-5 All Terrain Cranes offers the highest performance in a large variety of features. Maximum lift capacity is 160 tons, with a 311-foot maximum lift height. The boom extension is from 42 to 197 feet. Programmable independent engine pre-heaters are standard. Asymmetrical outriggers give additional capacity to work in rough terrain or confined spaces. These outriggers are supported by the AML, which detects boom motion and displays maximum capacity according to the individual extension width. The slow-stop function minimizes safety risks due to changing load capacity over different extension widths automatically. The Lift Adjuster is an important performance and safety feature. It automatically compensates for boom deflection during lifts. We all know one major challenge operators face, especially in confined settings, is keeping track of the surrounding area and load movement simultaneously. The Lift Adjuster senses deflection and adjusts the hoist cylinder to compensate, allowing for swing-free, gentle load lifts. The capacity-limiting system and crane control are effectively combined into one system. This permits the operator to focus attention on the lift and area obstructions, resulting in a safer work environment. An industry-standard, iconic control screen interface permits ease of set-up and operation, featuring customizable controls and simple, apt diagnostics and error codes for any problem which may occur. Complete, real-time engine information and fuel consumption are displayed also. 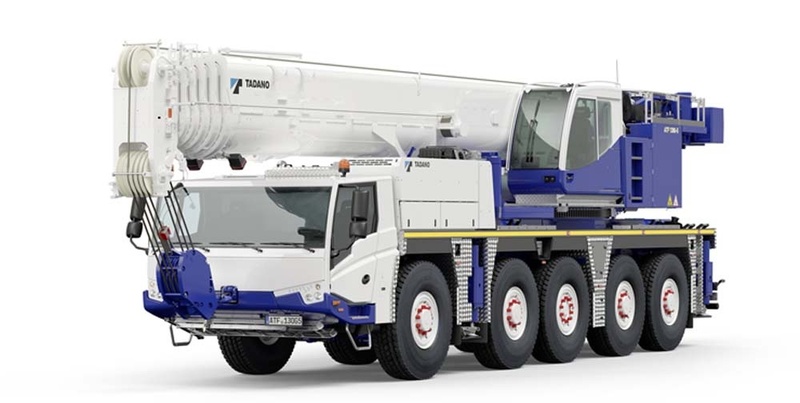 Finally, the highest standards of quality are built into and maintained in all components of the All Terrain Cranes, combined with the lowest possible ownership and operation costs. Scott-Macon Equipment handles sales, rentals, and service for the Tadano cranes. We can help you determine whether purchase or Tadano crane rental is most effective for your particular situation. Founded in 1973, we have service centers throughout Texas, Louisiana, and Oklahoma. Our rental fleet of cranes is one of the largest in North America, and our reputation has been built on the solid foundation of sales, rental, and service support. Contact us today for more information about the Tadano ATF 130G-5 or to get a quote.